A set of four Premier Elite Timps in for an overhaul. 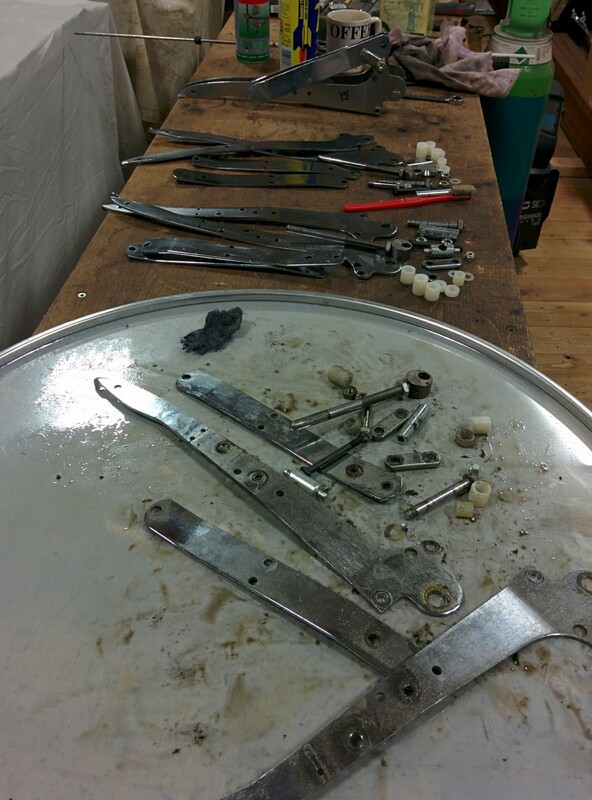 After checking the range, I dismantle everything so that I can work on the parts at the bench. At this point the chassis go out to have the heel blocks welded in, so whilst they are away, I can still work on the mechanism. Everything is stripped down and cleaned, inspected and repaired, modified or adjusted. Attention to detail is essential for the drum to sound good and play nicely over the long term. An example of this approach is the pedal. Missing parts are replaced or made. 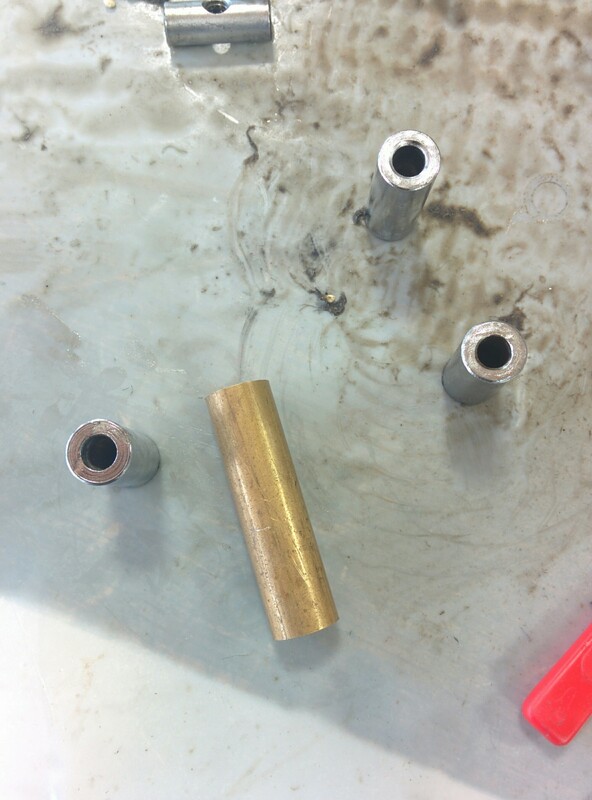 These are the spacers that act as the fulcrum inside the pedal. 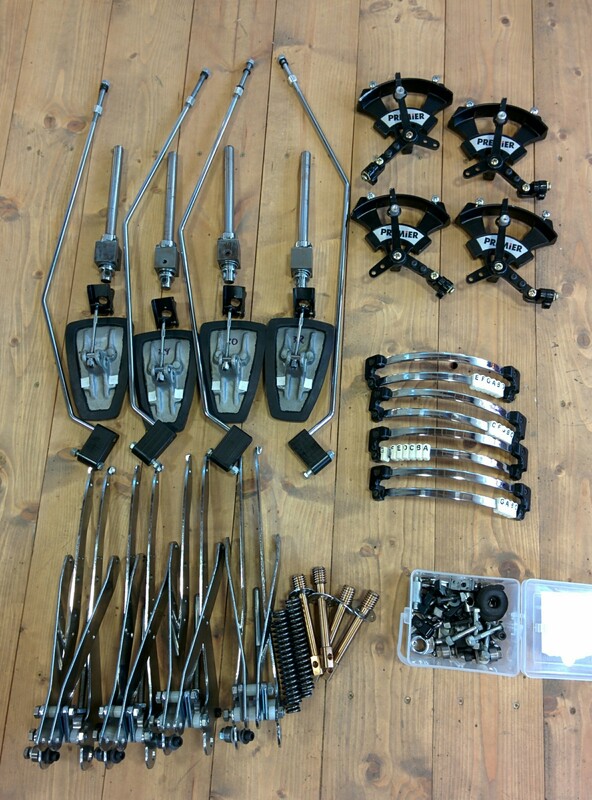 They should be held solidly in place in the pedal arm, and the pedal moves freely, but on virtually every drum I see they are loosened to enable pedal movement. This causes a whole host of problems. The root cause of the problem is the pedal casting, which varies in size due to the nature of casting. 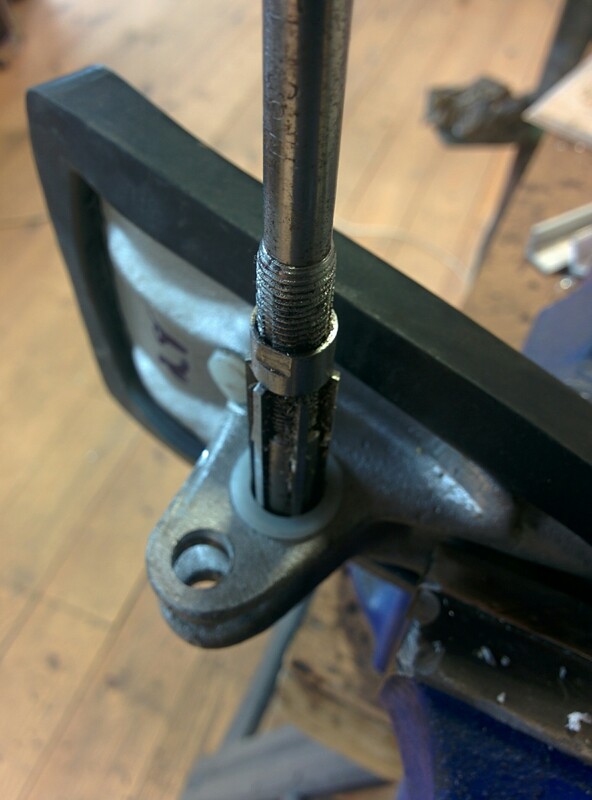 The width of the pedal is reduced with various metal working tools, but provides a good opportunity to get the cheeks perpendicular to the hole. However the hole being too small (or the barrel too large) is a manufacturing error by Premier. The easiest way to rectify it is to ream the nylon spacers to the correct diameter. Above are all the bits ready to go back in the chassis.